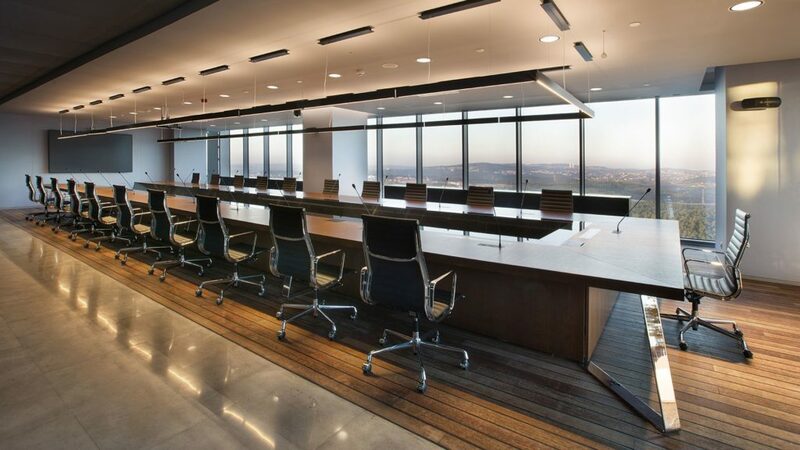 Located in the Ümraniye district of Istanbul, this thirty-three storey, headquarter building was designed by AS/OS Architecture and Design Management, with M-Ofis Architects undertaking the interior design. 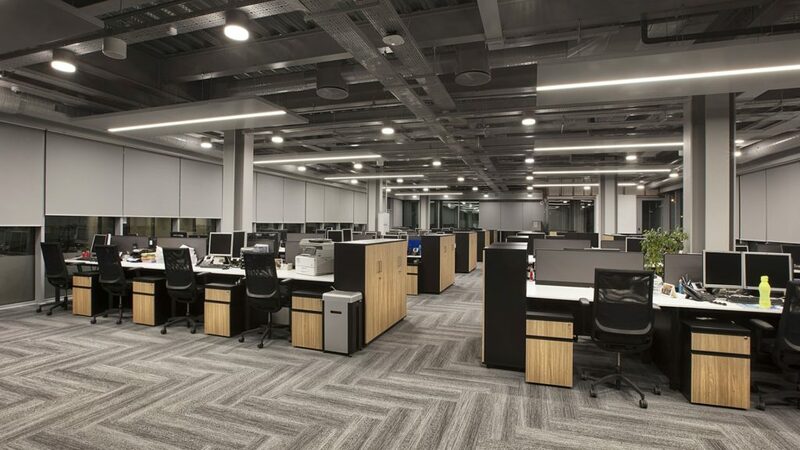 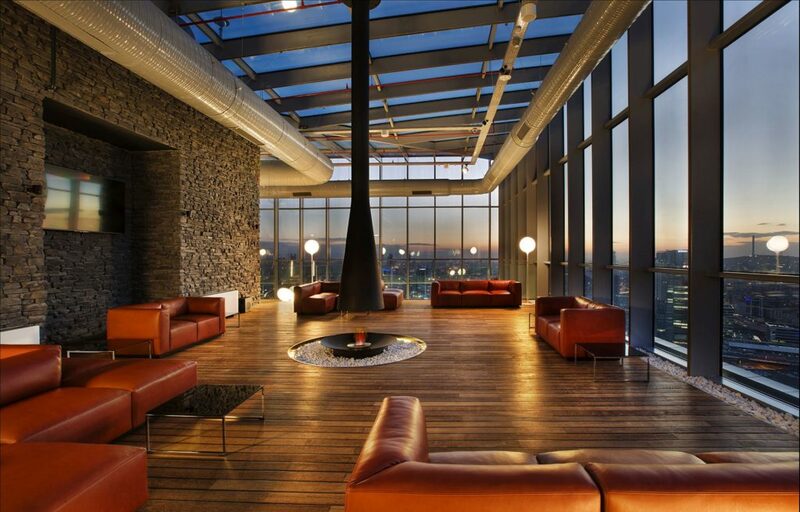 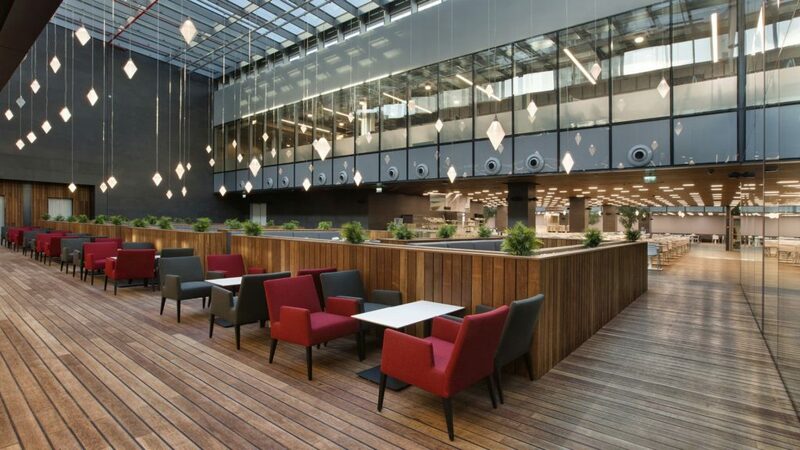 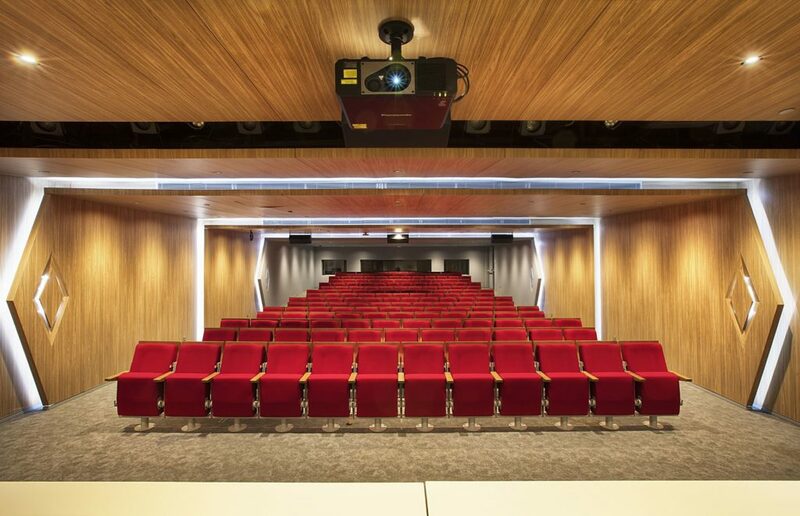 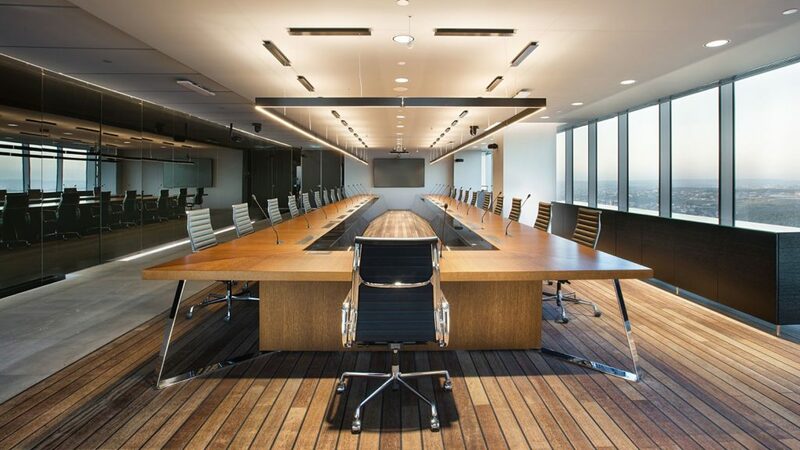 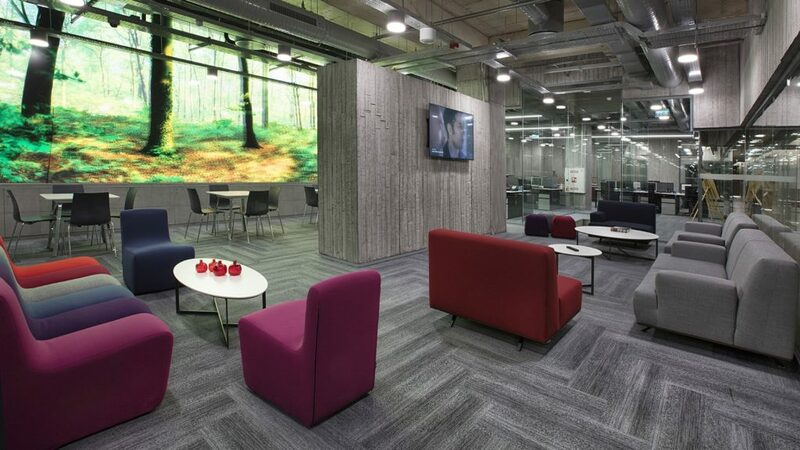 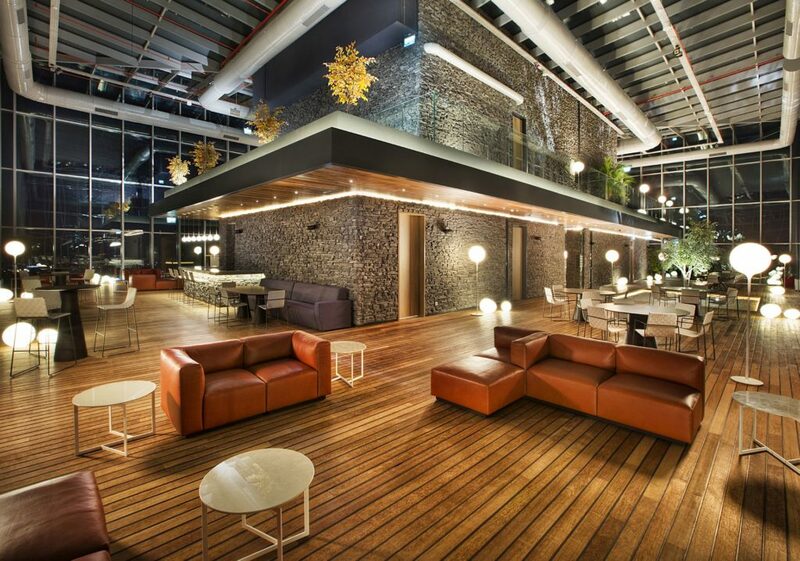 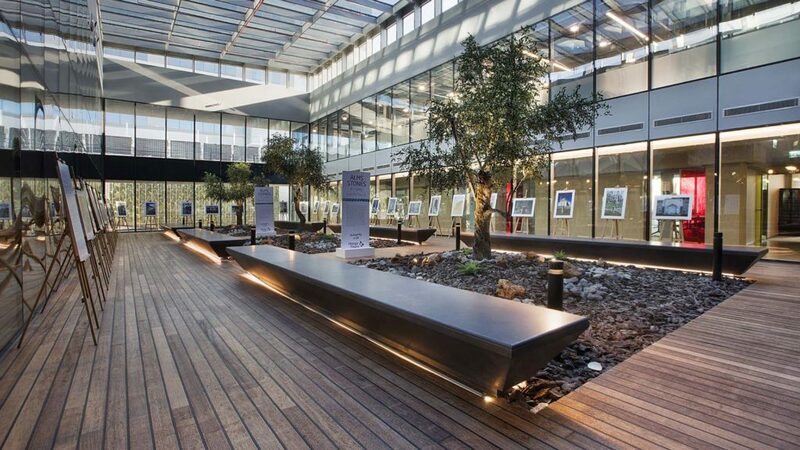 Local firm, ee-İstanbul handled the project management with contracting and fitout by Oğuz Bayazıt Architecture. 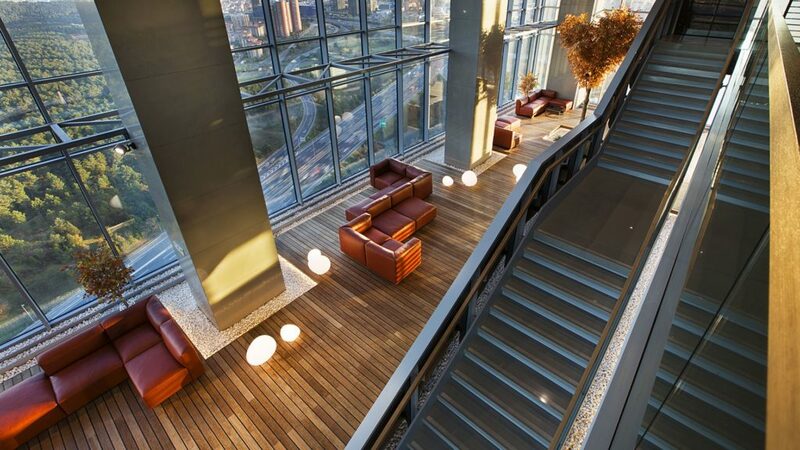 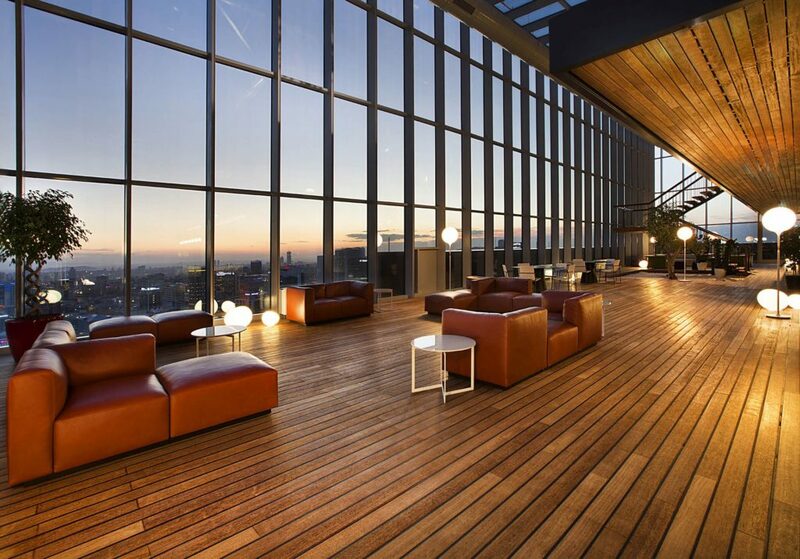 Twenty-eight floors of the entire building form the tower, with three levels for basement parking and two floors for offices and social interaction spaces. 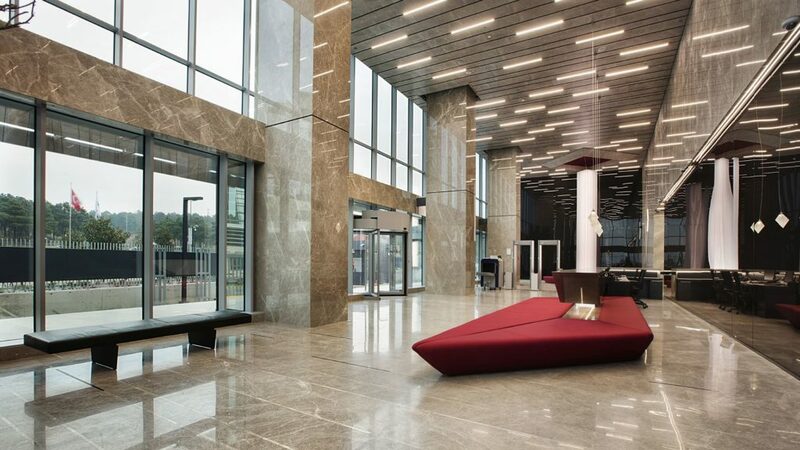 Housing two lobbies, the main entrance is from the ground floor, with a second entrance lobby for staff on the second basement floor. 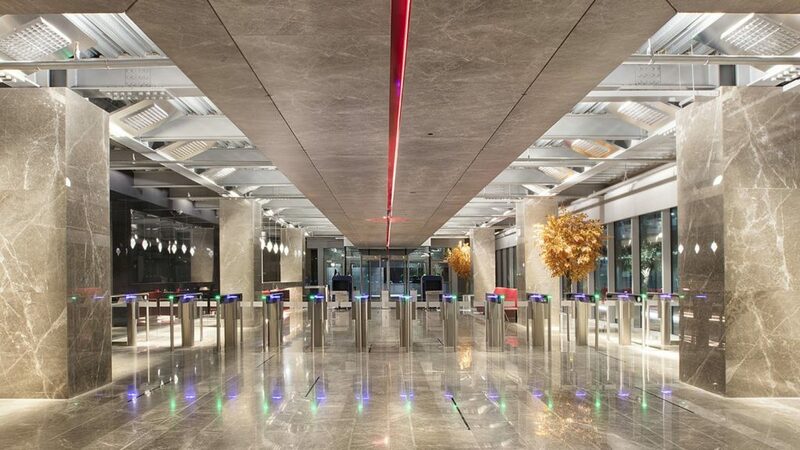 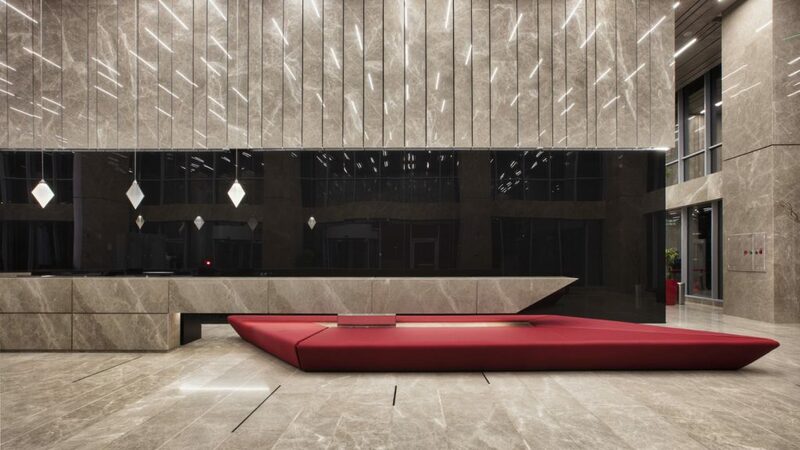 Designed with the same approach as the main entrance lobby, the natural stone pattern used at the ceiling is kept deliberately partial for the steel structure to be visually exposed. 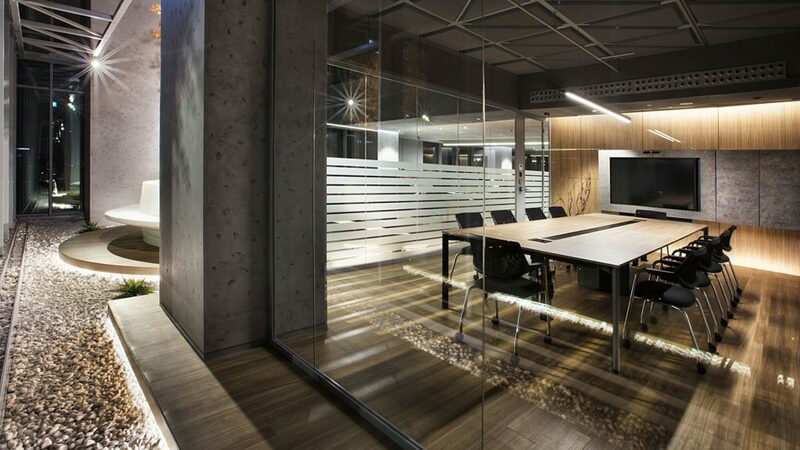 The vertical core of the building is surrounded by hidden cabinets at the open office floor levels to provide storage space, with integrated, rhombus shaped, wall lighting. 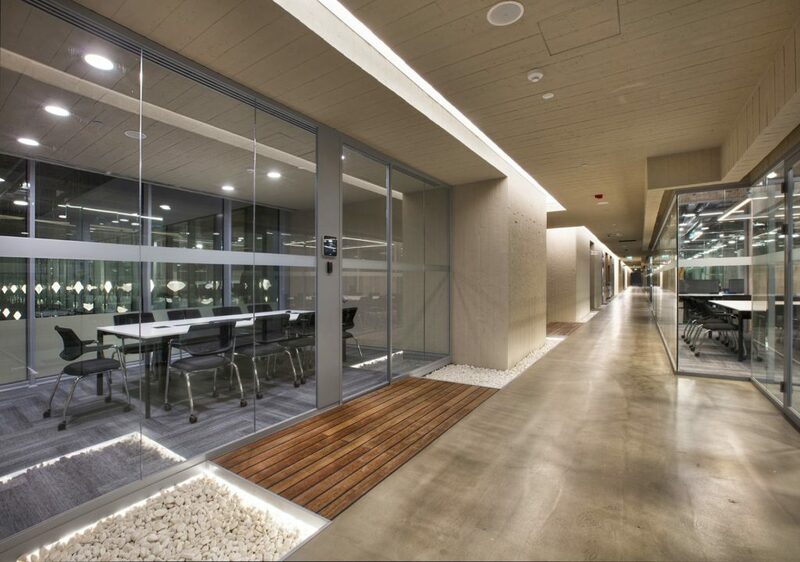 To plan social interaction spaces at the office floor levels, atriums were formed by keeping floor slabs one axis shorter at every second floor through the facade that faces the highway. 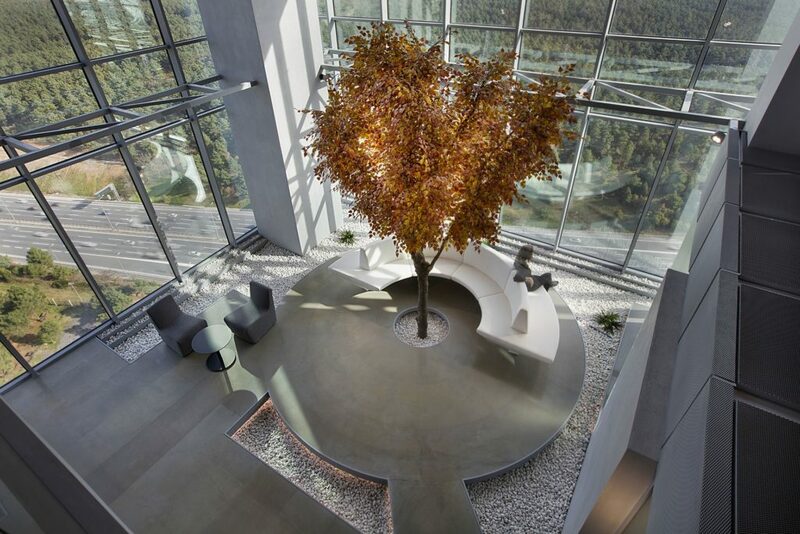 Singular trees with red leaves were placed in these areas to mimic autumn in Istanbul ,and are further emphasised with dramatic lighting to be observed from the perimeter of the building at night. 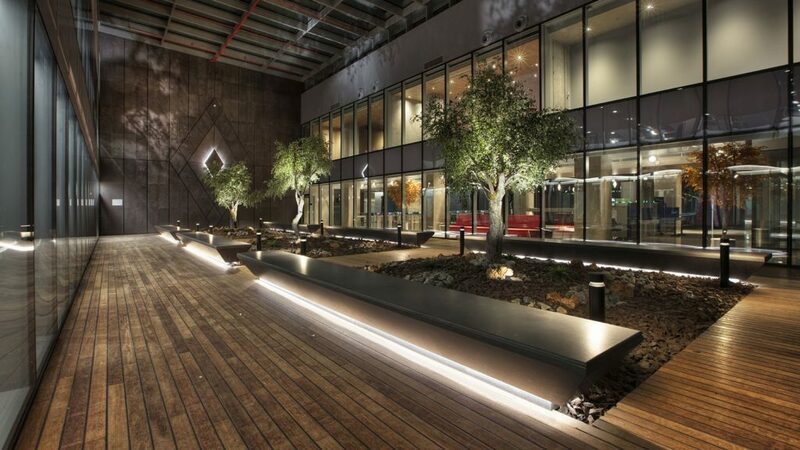 There are two bright inner courtyard gardens at the base of the building ,covered with glass and steel skylights. 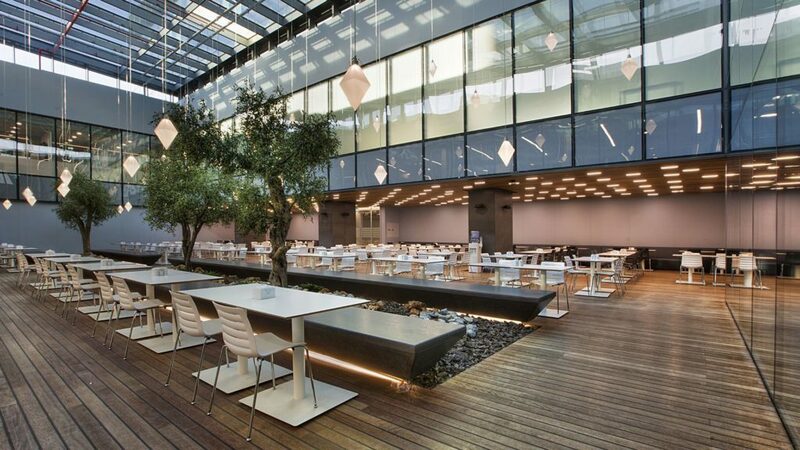 One of these forms a part of the cafeteria to provide natural light. 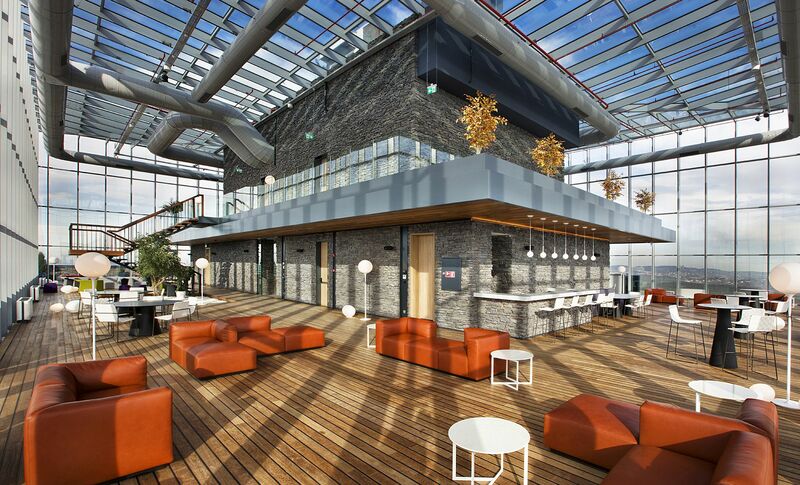 Vertical glass tubes were also designed for natural light to enter from the skylights located at the roof garden of the first basement floor, which penetrate all the way to the educational classrooms on the second basement floor. 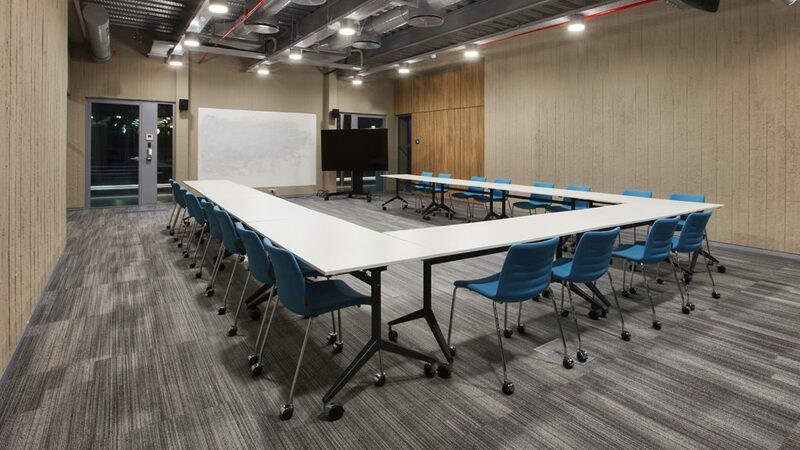 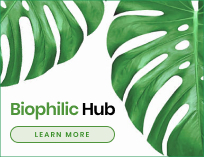 The educational zone is planned as an academy with a library, cinema hall, seminar rooms, two conference halls, thematic rooms, a virtual branch office and 15 educational classrooms in various sizes. 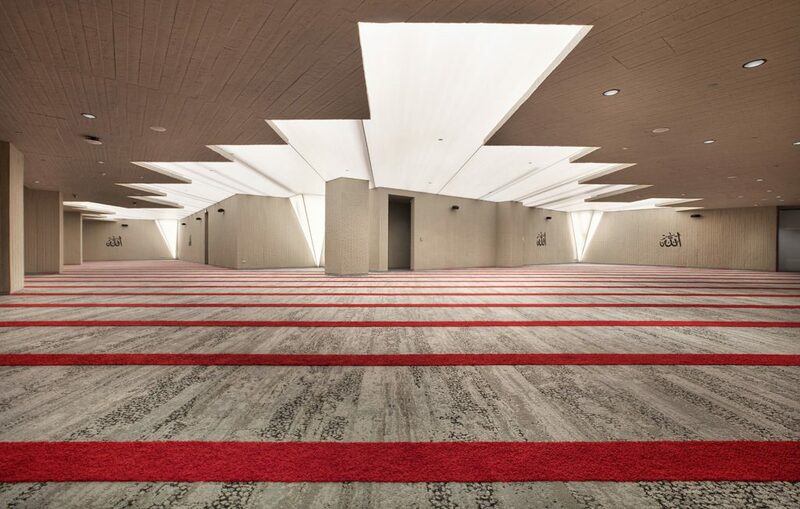 Furthermore, the entire complex also houses fitness halls, prayer rooms and various rentable areas, creating a fantastic, mixed use area.